Asylum Records however must have been looking to the matter from a commercial point of view. The record was short -only 9 tracks- so there was no room for fillers and errors, and maybe they were a bit afraid. OK, the record was not up to John's high standards -	and a bit short-, but it certainly wasn't bad. It was a doubtfull decision, the record would've been a big hit... or not?? 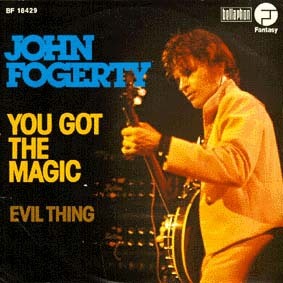 You Got The Magic: This song opens the album with a few loose chords before going into a pounding groove. 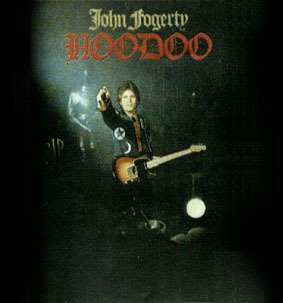 Talking about 'Voodoo', 'Magic' and 'Children Of Night' this a-side of the only 'Hoodoo' single sets the scene for the album. Leave My Woman Alone: Using great percussion, this is a cover from of Ray Charles song. John really makes a great cover while keeping the sound and arrangement in the style of the album. 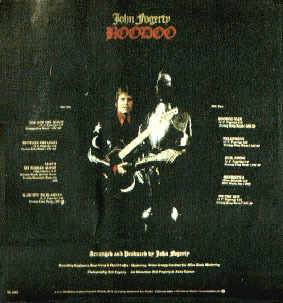 This song resurfaced when John attended the 1985 'Rock And Roll All-star' TV show. Telephone: A song with a strong melody, this is one of my favorites on the album. Midtempo and a great lyric make this a definite classic. Evil Thing: A spooky song about not getting over a woman who still haunts the narrators mind ('You Evil Thing - Why do you haunt me'). Good, but a bit too much of the electronics. Henrietta: Nice and rocking with lots of guitar, this is the second cover (of a late 50's song by Jimmy Dee) on the album. Also, with a lot of electronic sounds. 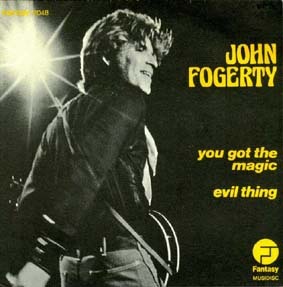 On The Run: This is a great Fogerty original, with strong melody and a good song to close the album. One of my favorites. Thanks to Peter Koers for his excellent extra info from his book 'Rocking All Over The World'... John's quotes courtesy of Gary Jackson.